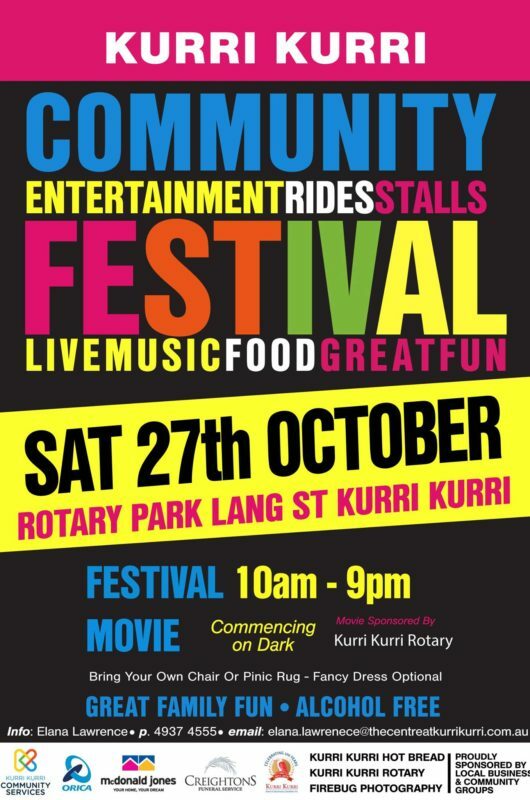 The Kurri Kurri Community Festival is held annually in October in Rotary Park Kurri Kurri. The festival is held to celebrate the town’s anniversary and to showcase the talents of local schoolchildren. A family friendly free event featuring entertainment, rides, stalls and lots of activities for the kids. 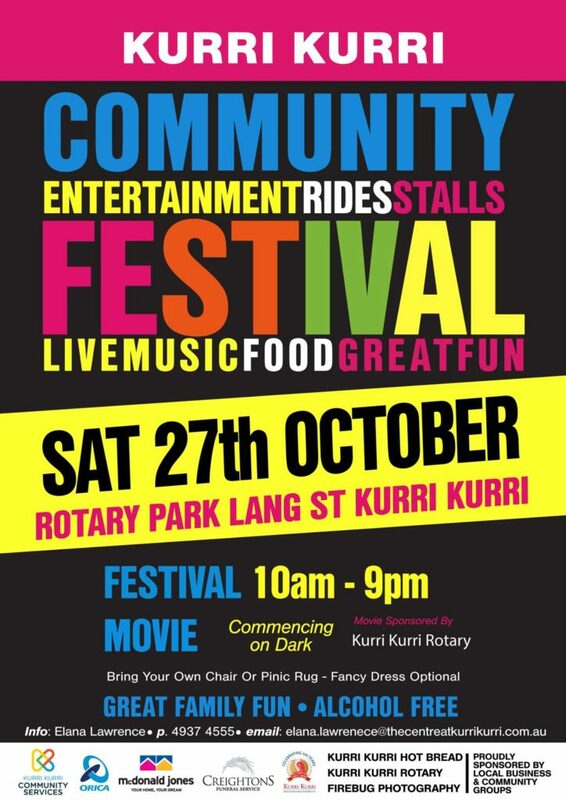 The Kurri Kurri Community Festival is managed by the Kurri Kurri Community Centre. Festival Movie: The Greatest Showman – commencing on dark. Bring your own chair or picnic rug. Alcohol free event. Visit the official Facebook page for the current event information.